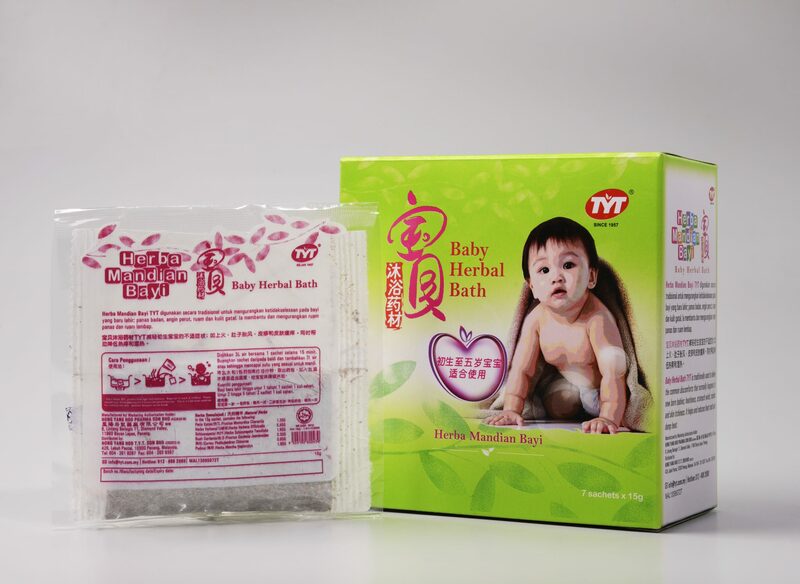 Baby Herbal Bath TYT relieves discomfort common to newborn babies and improves your baby’s sleeping pattern. Newborns can use 1 pack of Baby Herbal Bath TYT for daily bath. For babies 1 year old and above, you need 2 packs of Baby Herbal Bath TYT to bathe your baby. Box contains 7 sachets. Weight: 15g per sachet.